Do Not Be Slave of Your Words………..
Live Simply, Look Fab and Enjoy Life………………. Thanks dear Anita for this kind gesture of yours. Yes I so agree with your words Anita. Thanks so much. Kamal, this is such a beautiful story. I wish there were more wise judges like that. How very true it is about words spread that will forever hurt. Words are powerful and it behaves us to use them with care and love … or be silent. Yes I so agree with your words, Miriam and seriously hope we had such judges who were going by truth and would not unnecessary jail innocent people for life. Thank you so much for your great feedback. Thanks so much dear Radhika and yes this story had so much truth in it and so much to learn. this is profoundly wise … will reblog thanks! Welcome and thanks Kate and yes a great profound story. you do so much good! Thanks for these kind words my friend, Kate and deep down we are all doing good for everyone and that is what we humans are. doing our best Kamal so write! did you get my email that I can’t access your photos? Ya I just saw Kate let me see how I can do that. Thanks for sharing this great story that should make us aware to control what we say – and the real control begins already in our thoughts. To practise non-violence is not easy at all, to think not bad of another person is also difficult in certain situations, but with discipline we can make a habit of it: to see in everyone God, the working divine power, not just seeing his bubbling mind or his or her shortcomings (as we ourselves have enough of them too) – with this positive thinking we create positivity in us and around us. Being aware of the consequences, before we say or do something – this is in fact consciousness and thoughtfulness. Welcome dear Didi so much. Warm regards to you too. Thanks for the wonderful feedback dear Krishnapriya. Yes the Chinese saying is so true and real. Have a great day. I like these stories of yours, Kamal. Their message resonates! Thanks dear Kunal for your kind words. These stories are eye openers and inspire us so much. May be we cannot control the thoughts, but we can control the tongue. Yes I so agree with your words, Indira but in return we slander and hurt people so much. Thanks for the beautiful comment. A strong message in a beautiful story. I guess, most of us will be able to relate to it. Yes absolutely Deepika we will surely be able to relate to this story. Sometimes we hurt people so badly. Thanks for the beautiful comment. Yes Brigid I totally agree with you the world would be a better place to live by. Thanks so much for your superb words. I so agree with your words Brigid. This world would be a better place to live. Thanks for the beautiful comment. Yes Divya and I agree totally with your words. Our tongue is uncontrollable and that is the reason why we do these silly things hurting others. Thanks so much for your great inputs. This is a strong important message, gossip is harmful in small and big ways. Yes Pragalbha and I so agree totally with your words. Why gossip and have unnecessary problems and the judge was so good that he understand the plight of the poor boy. Thanks so much for your great comments. Yes absolutely true, Amira and the judge was too good and so nice that he took the side of the poor boy and not of that stupid old man who was so mean. Yes we must curtail what we want to say and think twice. Thank you for your wonderful feedback. Thanks so much dear for the Reblog. In the New Testament of the Bible in the book of James, he talks about the tongue and how hard it is to tame it. Jas 3:1 My brethren, let not many of you become teachers, knowing that we shall receive a stricter judgment. Jas 3:2 For we all stumble in many things. If anyone does not stumble in word, he is a perfect man, able also to bridle the whole body. Jas 3:3 Indeed, we put bits in horses’ mouths that they may obey us, and we turn their whole body. Jas 3:4 Look also at ships: although they are so large and are driven by fierce winds, they are turned by a very small rudder wherever the pilot desires. Jas 3:5 Even so the tongue is a little member and boasts great things. See how great a forest a little fire kindles! Jas 3:6 And the tongue is a fire, a world of iniquity. The tongue is so set among our members that it defiles the whole body, and sets on fire the course of nature; and it is set on fire by hell. Jas 3:7 For every kind of beast and bird, of reptile and creature of the sea, is tamed and has been tamed by mankind. Jas 3:8 But no man can tame the tongue. It is an unruly evil, full of deadly poison. Jas 3:9 With it we bless our God and Father, and with it we curse men, who have been made in the similitude of God. Jas 3:10 Out of the same mouth proceed blessing and cursing. My brethren, these things ought not to be so. Jas 3:11 Does a spring send forth fresh water and bitter from the same opening? Jas 3:12 Can a fig tree, my brethren, bear olives, or a grapevine bear figs? Thus no spring yields both salt water and fresh. I think his point is: only God can help us change from the inside out. Great story, it got me thinking. I am so thankful for your inspiring answer and feedback and yes I so agree totally with the book of James. What he is conveying to us is only the truth and wisdom. It is only God who can help us change from the inside out and the judge too was so good that he gave a correct judgement and the analogy was so perfect. Wish we have such judges in our World too. Great short story with much wisdom. What was the old mans sentence? Perhaps public knowledge that the old mans word put that young man in jail for so long, we’ll leave the older mans character in worse position than the young one’s? Or maybe at least, the young mans record can be cleared. Wonderful wisdom. Thank you so much for your great feedback and that is not written in the story but it is suffice to know that he must have a simple prank which cost the poor boy a jail term. The judge was awesome and made the old man understand his foolishness and that simply saying something and not meaning it can be so dangerous. Yes for sure and I completely agree with you. Thank you so much. Great to hear this wonderful news from you dear Akhila and yes these stories are amazing and so much to learn from childhood. It is so good must let children know how to behave in our world and that we are all one in this whole gamut of creation. Thank you so much dear Akhila for your kind words. Kamal, wonderful story with a very serious message … the image of the torn pieces of paper scattered to the wind mimicking the damage to the man’s reputation is inspired. I am always going on about the power of words and to choose them carefully … words thrown out carelessly cannot be taken back, the effect not undone. Thank you so much dear Miriam. What amazing ways you use to convey messages. Thanks dear Moushmi for your feedback and yes so true if we keep a green heart growing with love the birds will definitely sing. Yes I so agree with your words Chandan. Thanks. 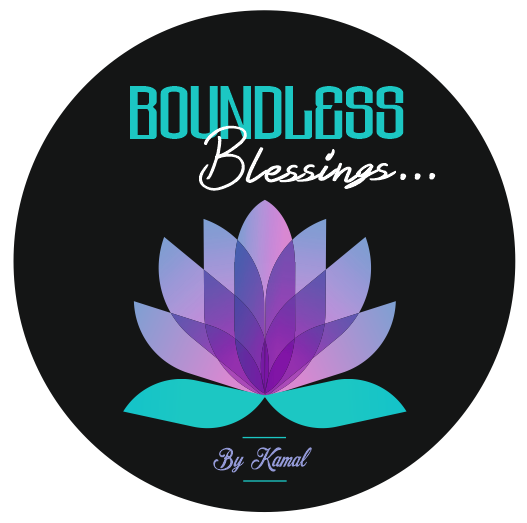 Kamal you write and create the best stories and brillant learning. I love this so much, will share on my fb page. It is a true story when gossip is created the other person reputation and honour is lost through no fault of your own. Yes dear Bella I so agree with your words totally. This story is an eye opener and how with few nonsense words peoples lives changes for the worse. The judge was so nice and impartial. Thanks so much and pl do post on Facebook. One more thing Bella ourr Kate has told me to give my interview on meet the bloggers site where I have put some of my family pictures and u could have a look and give your valuable comments too. It would be a pleasure to have your thoughts. Beautiful interview and family photos. It is nice to get to know you more. Especially, that you love to write from a young age and how you switch up your writing that was a useful tip. How lovely your son created your site, that is really lovely. Beautiful read enjoyed it so much. Thanks so much for these kind words and yes I am so happy to be here on WordPress blog and to get to know such wonderful people like you and others on this platform. That was my grandson and our little angel amber too with my family. Thanks once again. Love and hugs to you dear Bella. The other tip i like from your interview was , that write so that they dont just hit like but are compelled to comment. I definately need to take this on board. Yes I so agree with your words we are all like this but taking a little goodness from these stories works wonders. Thanks so much Marta. Gossips do hamper the reputation and one should understand the sever consequences before it’s too late. Yes absolutely true, Tanvir and they slander and hurt people in a big way from where they are shattered. The judge was superb. Thanks dear. Thanks. Great to see you again with all your lovely posts, Tanvir. Will right away go and check them out. Our words do have effects – big ones, too. We should be careful how we use them. Yes I totally agree with your words, Rue they hurt and hurt people and the judge was impartial and gave a good judgment. Thanks for the beautiful comment. I hate people who gossip. True but pl. tell me who does not somewhere or the other we do slip cause we are humans but must catch ourselves and improve. I believe we all do it somewhat…but it seems to grow and change with each repeat. And I try my best not to repeat gossip or see the bad side of people. Great to hear these words. 40 years ago I wrore a poem called”the longest word” its on my blog. It’s about gossip. I also have a Haiku about it. 40 years ago I wrote a poem about gossip called”the longest word” its on my blog. It was my first publication .I think it holds its own as good today as it did then.I think you would like that poem. Yes, the tongue is both a healer and killer! Yes I absolutely agree with your words one has to know what to speak before uttering. Our tongue is very sharp and sweet too. Thanks so much. This is a powerful truth…f you cannot speak well of someone, do not say anything at all. Yes I so agree with your words and why speak and hurt anyone you come across. Thanks so much. This is so powerful! Thank you for an excellent post! Thanks so much Diane and yes some of these stories are powerful and inspiring for all of us. Previous Previous post: Love Life…………..